A few months back I had the opportunity to explore some of the wineries of the Columbia Gorge as part of a paid familiarization trip. In a previous post I talked about the experience at Maryhill Winery, located about 100 miles East of Portland OR on the Washington side of the Columbia River. Maryhill Winery has set itself up as a premier value with a view winery. I was impressed with the consistency of the wine and sipping on a patio overlooking the Gorge is an awesome experience. What about the rest of the trip? Blown away by an Oregon Zinfandel and a Washington Pinot Noir, this trip quickly became a mind bending experience. It is quite possible that I’d entered the Matrix of the wine world where this Columbia Gorge AVA hugs the border of both Washington and Oregon. The unexpected surprises of The Pines 1852 and Syncline Estates added to the beauty of the surroundings. The history of The Pines 1852 dates back to 1978 when founder Lonnie Wright, along with several others, helped plant the first 2000 acres for Columbia Crest. Lonnie learned vineyard management from some Washington legends and eventually supervised the first harvest of 650 acres. In 1982, Lonnie became a part of the renovation of 20 neglected acres in The Dalles, Oregon. An unexpected discovery of eight acres of century old Zinfandel vines led to the eventual start of The Pines 1852. Since then, Lonnie has added an additional 7 acres of Zinfandel, 3 acres of Merlot, and 2 acres of Syrah. The Pines 1852 started in 2001 and has grown to 3700 cases (featuring 19 different wines). With winemaker Peter Rosback, The Pines 1852 bucks the tradition with their big Zinfandel. The tasting room in Hood River is a fantastic space with a beautiful tasting bar, space for live music and events, and a very expansive art gallery showcasing some beautiful local and regional artists. 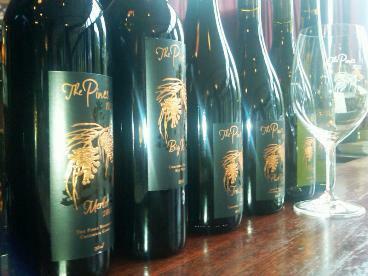 We tasted through nine wines (at 10 o’clock in the morning) at The Pines 1852. Full notes are a challenge to do in these settings, but below are the notes from the wines I enjoyed the most. 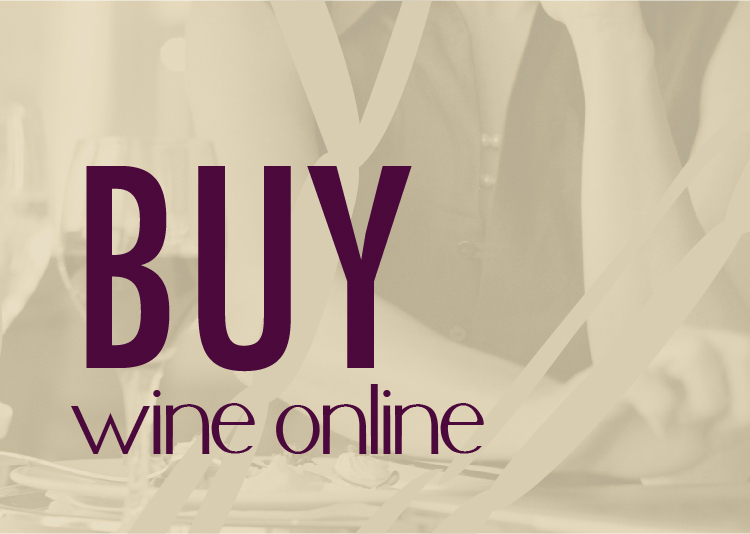 2009 The Pines 1852 Old Vine Zinfandel – 350 cases made of this flagship wine. Exactly what I would expect from a Zinfandel; big, bold, spicy, and fruity. This Oregon Zinfandel gives the California grape a run for its money. At $38, it is a little overpriced but scores well at 4/5. James and Poppie Mantone met in 1997 while working the harvest at LaVelle Vineyards in the Willamette Valley. Four years later they began to explore their passion of Rhone varietal wines on the North side of the Columbia River by starting Syncline Wine Cellars. Located a few miles north and west of Lyle, WA the drive to the winery leads you into the hills and forests of the Gorge. With Mount Hood rising in the distance, the winery is an unassuming barn with a few acres of adjacent vineyards of Syrah. Inside the barn, 5000 acres of traditional winemaking and passion take place. James Mantone is a visionary and a traditionalist. Listening to him talk, you can hear the desire to produce wine that represents the style of the Rhone Valley. James is producing Syrah, Mourvedre, Rousanne, Viognier, and even a Pinot Noir made from Celilo Vineyards in Washington. 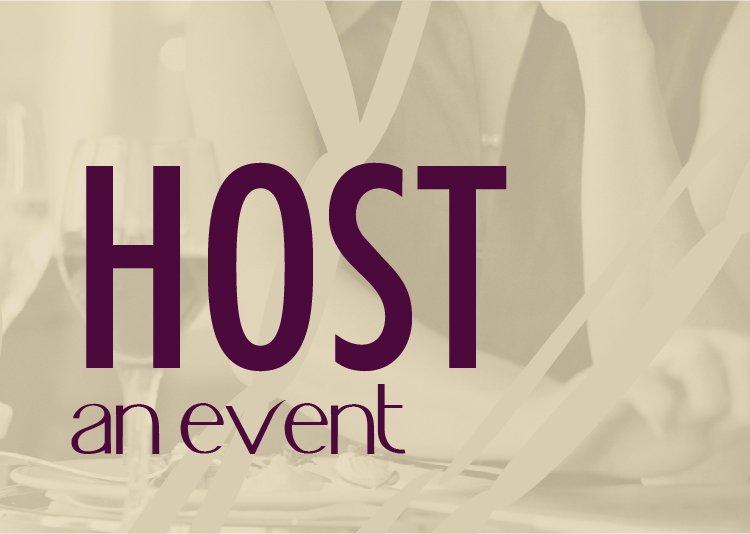 More non-traditional grapes like Counoise, Cinsault, and Carignan are used in various percentages for blends. 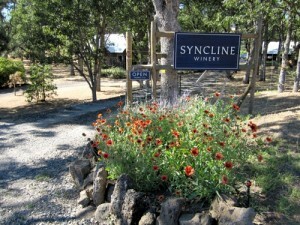 We tried eight wines while visiting the very busy Syncline Winery. Outside it was rainy and muddy and inside was the overwhelming aroma of fermenting juice and musty oak. I would love to sit down with each of the wines again someday, but here are the notes from the stand out surprises. I highly recommend a stop in the Columbia Gorge for wine tasting. 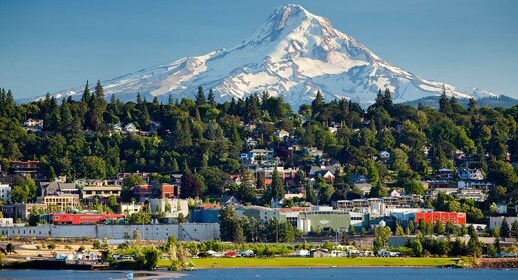 Hood River and The Dalles make great places to stay with Hood River offering an eclectic mix of modern and small town. Hood River is also the wind surfing capital of the world and home to Full Sail Brewery for when your palate needs a break from the wine. Joining the trip was Clive Pursehouse from The Oregon Wine Blog. See his recap of the journey too.